We set off on our last day of the rally in good spirits. 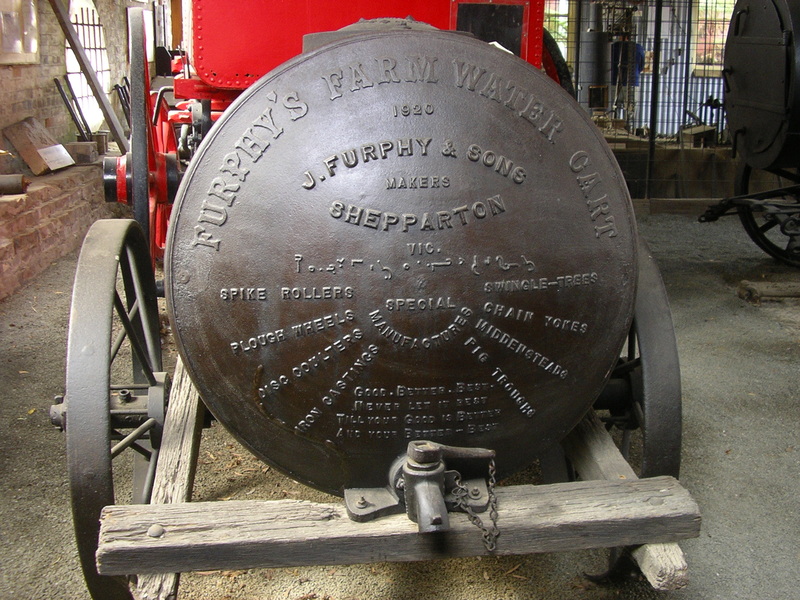 We were to travel from Launceston to Ulverstone via Beaconsfield. The route out off Launceston should have been relatively easy as everyone was by now fairly use to reading route sheets. The following to the route sheet was not the problem, it was the lack of street signs or the placement of them. That seem to have a habit of hiding them behind bushes, behind other signs or put them 50 meters down the street. We managed to escape the metro area and followed the western shore of the Tamar River. In one section we left the A7 to follow the river. This was quite bumpy most of the way but we did see channels cut through the reeds and power boats moored with the reeds almost obscuring them from view. The road cuts back onto the A7 with no warning with a corner sharply to the right then to the left and straight into a ‘T’ junction. I thought I would lost it here but I hung on and managed to make it through the bend and stop for the junction. We continued on to Beaconsfield. 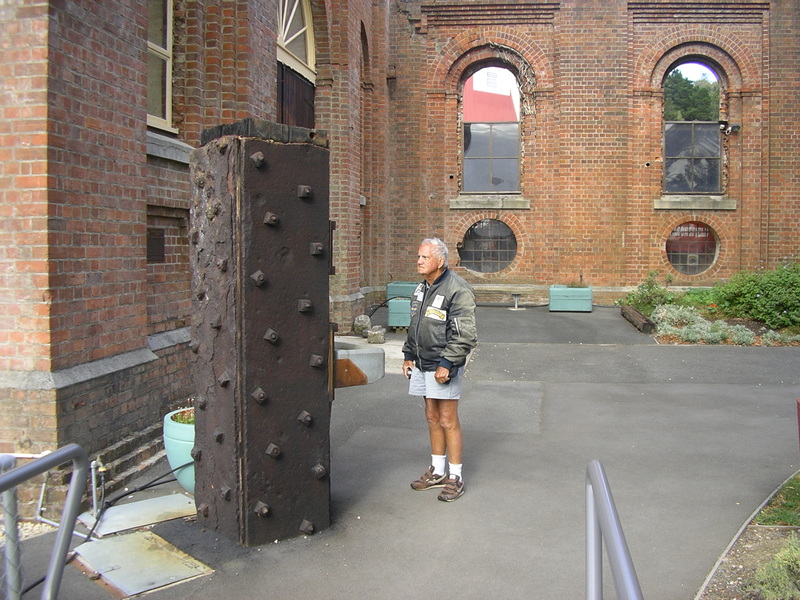 Beaconsfield was where the miners were trapped for 14 days in 2006. 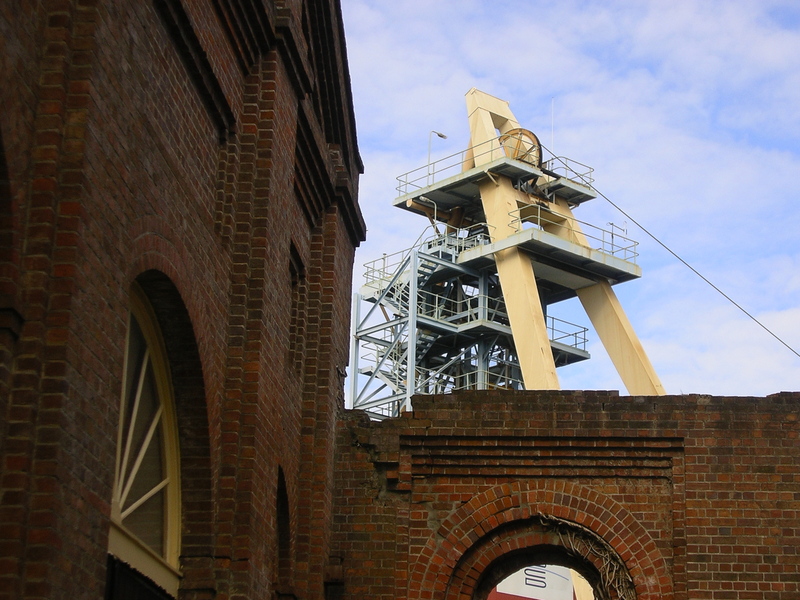 The mine is still working and beside it is a museum. The museum is certainly worth a visit. It has a section on the rescue but that is only a small part. It is mostly set up as a history of the original gold mine and its workings along with how people lived. It incorporates many interactive exhibits encouraging you to see how things operated. We lunched in a cafe not a bakery this time and then went on. We didn’t stop at Beauty Point but went on to York Town site where we took a side road to take us across to the next highway. This was not on the route sheet but a map said it went where we wanted to go so why not do it. The bitumen finished half a kilometre down the road. 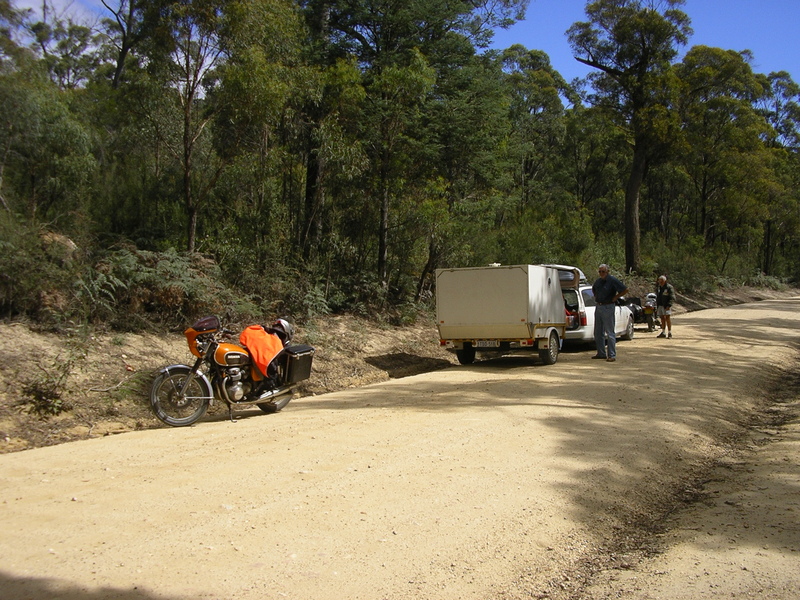 The road was gravel leading through a National Park. It started out pretty tame but after several kilometers it started to wind up into the hills twisting and turning. The surface was also becoming a series of potholes and corrugations. We stopped and discussed whether to carry on or turn back. On would we went. I was leading and I lost sight of Keith, After a mile and a half I still couldn’t see him in my mirrors so I turned back. I found him about 2 mile back repairing the sidecar. The mudguard had come lose and had to be removed. After about half an hour we resumed the slog on the track. About 3 mile further on we hit bitumen again. We had come 20 miles on the dirt and now we decided to eat up the miles at a great rate.Not far from the Ulverstone turnoff on the Bass Highway we passed several other riders who had come on the proper course. Back in Ulverstone we booked into the motel and the apartment once again. Sheer luxury. It felt so good we went down town and brought the makings of a fine evening meal to be washed down with a couple of beers. Tomorrow we meet up with a Vintage Motor Club for a BBQ and go on to a display in Port Sorell. Then it is on to the ferry for the night sailing back to the mainland and high tail in back to WA.